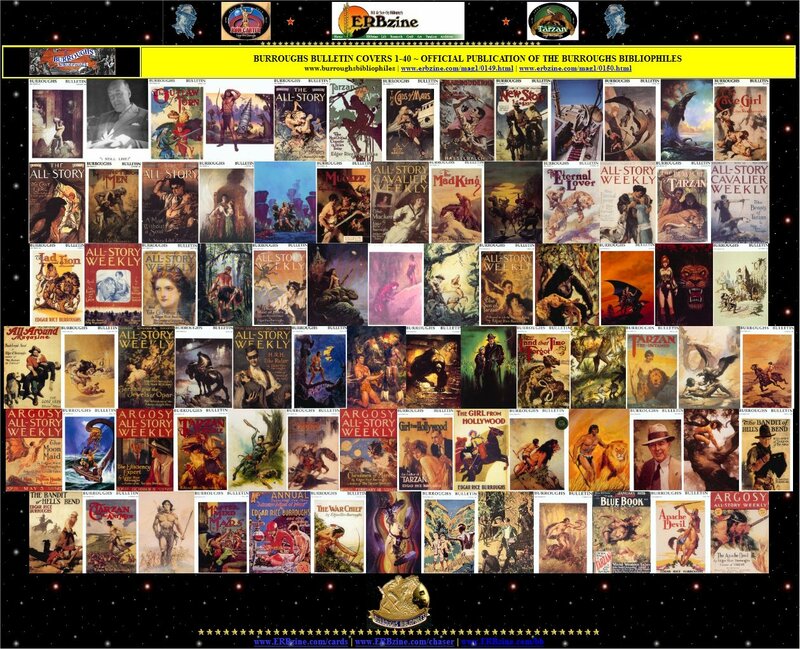 The Burroughs Bibliophiles is a worldwide organization of aficionados who share a love for the works and characters of the American author Edgar Rice Burroughs, the celebrated author of Tarzan. The group's membership list boasts its fair share of bestselling authors, artists, scientists, teachers, and academicians, as well as readers who simply love a good story well told. 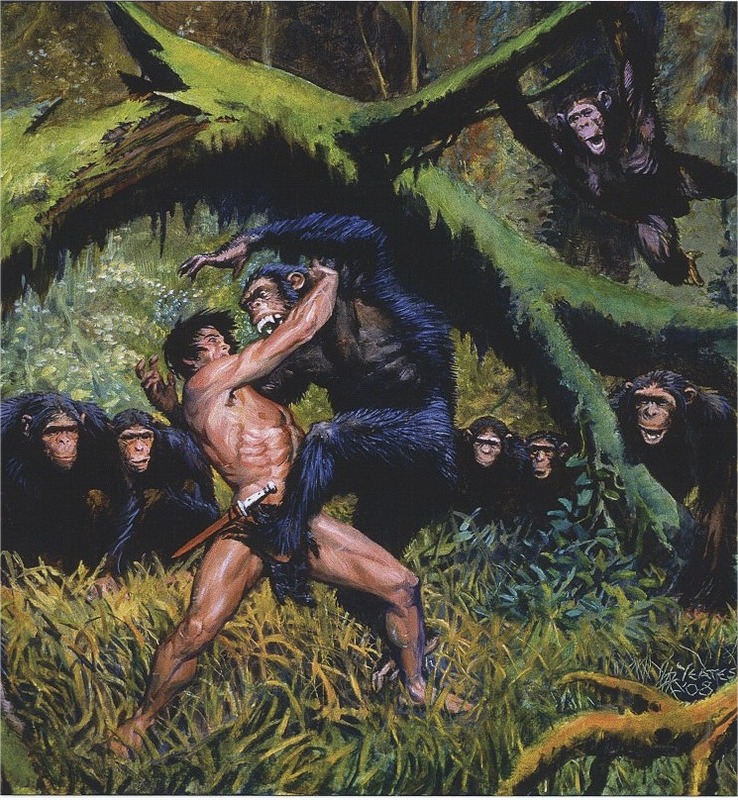 The Burroughs Bibliophiles is a nonprofit 501c(3) literary society devoted to studying and promoting interest in the works, creations, and life of Edgar Rice Burroughs, including the globally popular icon, Tarzan®. 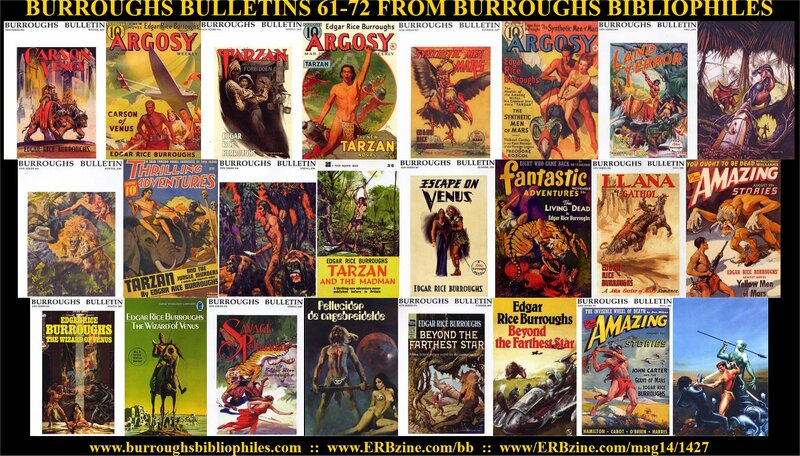 The Burroughs Bibliophiles was founded on 4 Sep 1960 and adopted "The Burroughs Bulletin" journal, the only such publication personally approved by Edgar Rice Burroughs. Membership benefits include four issues of the journal, "The Burroughs Bulletin," and as many issues of the newsletter, "The Gridley Wave," as are published during the time span of those four Bulletin issues. The Bibliophiles also sponsor an annual convention, "The Dum-Dum," normally held in the summer months. For more information, contact the Editor, Henry G. Franke III, BurroughsBibliophiles@gmail.com, or see the membership registration form. 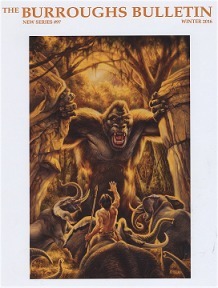 The Burroughs Bibliophiles membership continues strong, indicating that the organization's namesake will continue to be one of the world's most popular authors well into the twenty-first century. 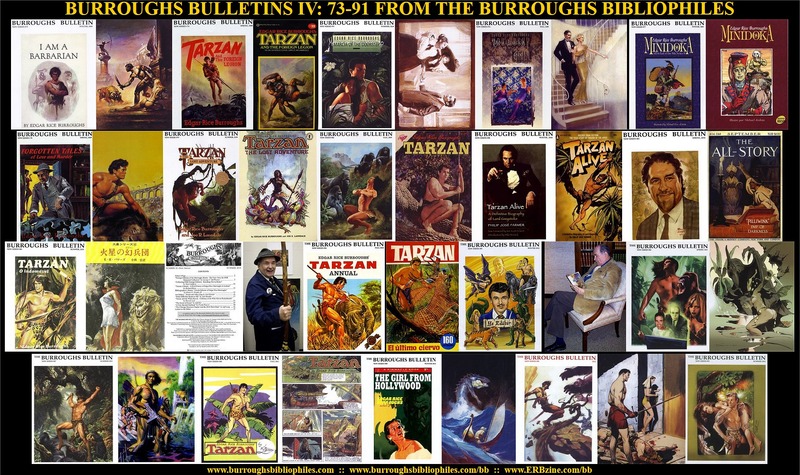 We invite you to learn more about the Burroughs Bibliophiles, and to take a tour of The Burroughs Bulletin. 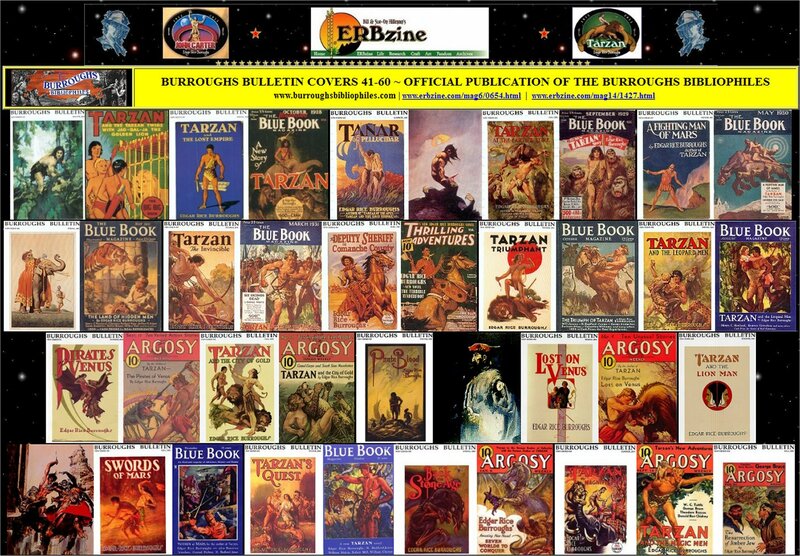 Join hundreds of other enthusiasts by joining The Burroughs Bibliophiles today. join or renew your membership in the Burroughs Bibliophiles. Many Back Issues are still available from the current editor. 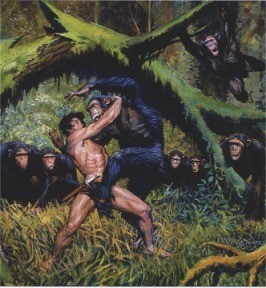 Tarzan® is a registered trademark of Edgar Rice Burroughs, Inc.
of Edgar Rice Burroughs, Inc. or the editors of the Burroughs Bulletin.